Will the format continue its amazing growth? Country’s dominance of U.S. radio continued unabated in 2015, registering a fourth-consecutive year of growth in the number of stations. There were 2,125 country stations in December 2015, a 2% increase over 2014, according to Inside Radio’s PrecisionTrak database. - News/talk remained No. 2 with 1,354 outlets and Spanish-language stations jumped 4% last year to 872, to rank third. 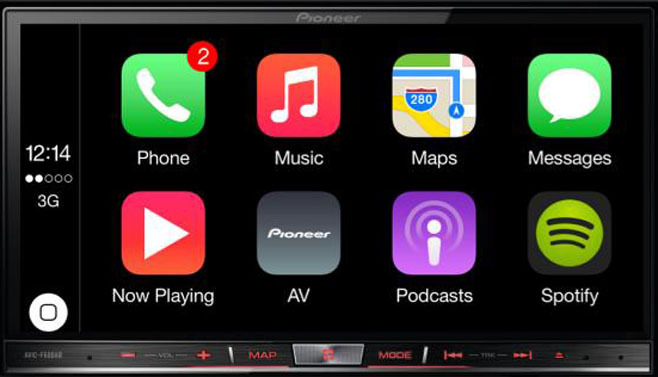 CarPlay made a splash last week, with auto makers like Ford, Chrysler and Volkswagen incorporating the sleek iOS-like infotainment interface With CarPlay expanding throughout the automotive industry, Apple has finally launched a dedicated website to track which car makes and models now support the standard. Two HD Radio stations will be start broadcasting in early 2016 for Betar, the national government broadcaster for Bangladesh. The HD Radio broadcasts on mediumwave, supported by two GatesAir Flexiva 10kW transmitters, will cover the capital city of Dhaka and surrounding regions. Thus Bangladesh is not following neighboring India which have adapted DRM30/DRM+ for digital terrestrial radio. New York City will begin this month replacing thousands of pay phones with free Wi-Fi hot spots. The city expects to have 500 hot spots installed by July, and eventually about 7,500 units will be replaced. The project, called LinkNYC, is being run by the company CityBridge, which is investing more than $200 million. CityBridge says its Wi-Fi will deliver broadband speeds of 1,000 megabits a second, about 100 times typical speeds provided by wireless carriers. Government forced to release secret deal. Will the new minister of culture reconsider the FM closure plan? The former CEO of the public service broadcaster NRK, Hans Tore Bjerkaas, has put his signature on a secret deal between the DAB promotion company Digitalradio Norge and the broadcast provider Norkring. The deal worth 63 million NEK is safeguarding the Swedish broadcaster MTG participation for DAB+ distribution for its network P4 Radio Hele Norge. This means that license fee funding has been used in order to prop up a private foreign owned company.